Burgess, a 1974 Auburn graduate, joined the university in 2012 to lead its security and cyber initiatives. He is a 38-year U.S. Army veteran who spent much of his career in the upper levels of military intelligence and security, including service as director of the U.S. Defense Intelligence Agency from 2009 to 2012. 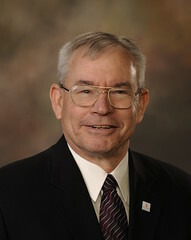 After earning his degree at Auburn and being commissioned in military intelligence through its ROTC program, he received a master’s degree in education from the University of Southern California in 1980 and a Master of Military Arts and Science from the U.S. Army Command and General Staff College in 1986. Of the degrees Auburn will award, 732 are bachelor’s degrees, 296 are master’s degrees, 102 are doctorates, 17 are education specialist degrees and three are pharmacy degrees. The College of Liberal Arts will award the most bachelor’s degrees with 180, followed by the Raymond J. Harbert College of Business with 128. The College of Human Sciences will present 97 degrees; Samuel Ginn College of Engineering, 89; College of Education, 60; School of Nursing, 57; College of Sciences and Mathematics, 49; College of Architecture, Design and Construction, 31; College of Agriculture, 21; School of Forestry and Wildlife Sciences, 11; and Office of the Provost, nine degrees in Interdisciplinary Studies.